Undated images show a homemade bazooka used to blast packets of drugs from Mexico to Douglas, Arizona. DOUGLAS, Ariz. (KABC) -- Drug smugglers are getting more creative and using homemade bazookas to blast packets of narcotics onto American soil. 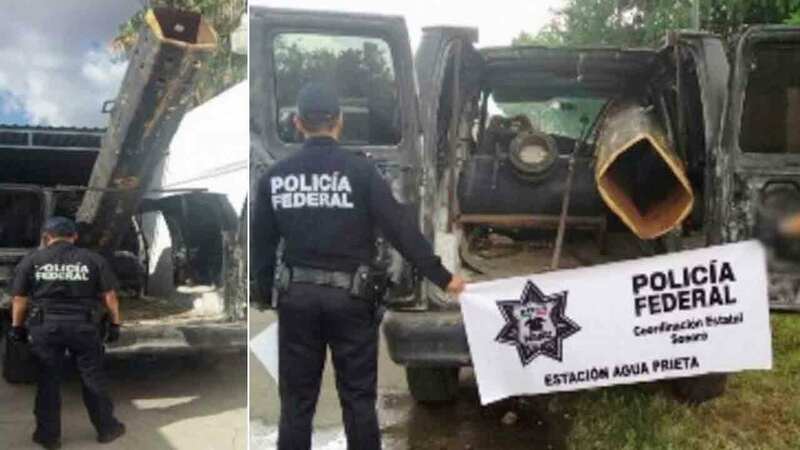 Federal police officers in Mexico found a van fitted with an air compressor and a 10-foot metal tube. The van has a cut in the roof toward the back to allow the tube to be used to launch contraband. The van was found abandoned across the border from Douglas, Arizona.